Colleagues at the British Library (BL) would like to extend an invitation to departments to come along and demonstrate to BL staff the successes you have achieved through using Continuous Improvement. 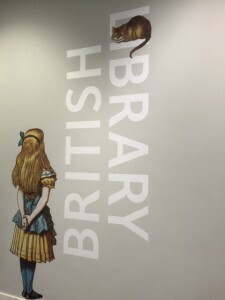 In order to continue the theme of the practical benefits of cross departmental working the British Library (BL) will be holding two Continuous Improvement events for BL staff. The first one will take place at their premises at Boston Spa, Wetherby. LS2 7BQ on 6 March between 12:00 – 14:00. The second session will take place at their London office which is located at 96 Euston Road, St Pancras on 10 March between 12:00 – 14:00.